Jai Ram Thakur belongs to the Rajput community that has a significant presence in Himachal Pradesh. New Delhi: Five-time legislator Jai Ram Thakur, 53, will tomorrow take oath as the Chief Minister of Himachal Pradesh. Prime Minister Narendra Modi, BJP chief Amit Shah and chief ministers of BJP-ruled states will attend the ceremony to be held at the historic The Ridge in Shimla. He will be the sixth leader of the state to become the 14th chief minister of Himachal Pradesh. Interestingly, Mr Thakur's name was suggested by former Chief Minister PK Dhumal, who was named as the chief ministerial candidate just 10 days before the elections in November. The 73-year-old, however, lost the election to his Congress opponent Rajendra Rana by over 3,000 votes. 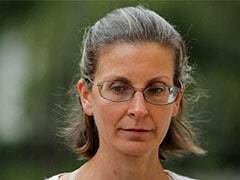 Several names were in the race for the past few days, including Health Minister JP Nadda, who is considered a keen strategist. His proximity to the party top bosses, especially BJP national president Amit Shah, was seen as a huge plus for him even though some party leaders expected the BJP leadership to choose the chief minister from among the lawmakers. 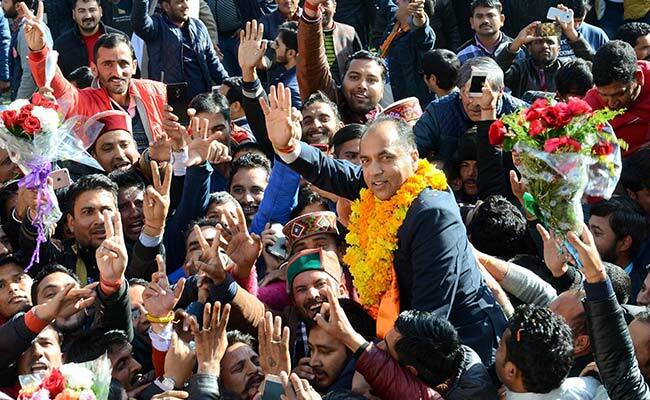 Jai Ram Thakur, described as a soft-spoken leader by his supporters, represents Seraj, a constituency near Mandi. He has been the party's state unit chief between 2006 and 2009. He also served as the Rural Development and Panchayati Raj minister in Mr Dhumal's government from 2007 to 2012. Mr Thakur belongs to the Rajput community that has a significant presence in the state. He did his graduation in Mandi and Master's from Panjab University in Chandigarh. He was introduced to the Akhil Bhartiya Vidyarthi Parishad (ABVP), the student wing affiliated to BJP's ideological mentor Rashtriya Swayamsevak Sangh (RSS), during his college days. He was just 28-year-old when he first contested the state Assembly elections from Chachiot in Himachal Pradesh in 1993. He lost by a slender 800-vote margin but caught the attention of the BJP's top brass. In 1998, Mr Thakur contested from the same seat, won, and later converted Chachiot (renamed Seraj after delimitation in 2010) in Mandi district into his bastion. He has won it a record five times in a row. Coming from a humble background, he has his feet firmly rooted to the ground. "My son has seen extreme poverty in his childhood," his emotional octogenarian mother Biri Singh told reporters at her ancestral house in Tandi village in the interiors of Mandi. A senior party leader said that Mr Thakur has "suitable credentials" to be the chief minister of the hill state. He emerged as a frontrunner for the post after Mr Dhumal and state party chief Satpal Satti were defeated in the assembly elections. The BJP wrested power in Himachal Pradesh from the Congress, winning close to two-thirds majority with 44 seats in the 68-member assembly. The Congress managed to retain only 21 seats. After being chosen for the top post, Mr Thakur said, "Our dream of a Congress-free Himachal Pradesh has been realised." He has also vowed to deliver on promises made and to "work round the clock to ensure progress and development of Himachal Pradesh."